Manchester United legend Wayne Rooney has suggested he’s on Jose Mourinho’s side in the ongoing row with star player Paul Pogba. The France international’s form has been the subject of much attention for some time, with Mourinho and him seeming to struggle to get on the same wavelength at Old Trafford. Rooney spent a season playing alongside Pogba for United, but we’re yet to truly see the 25-year-old hit the kind of form he showed at former club Juventus, or for the French national side this summer as he played a key role in guiding his team to World Cup glory. Speaking to CNN, Rooney is quoted by Goal as saying Pogba’s form is down to him more than it is the manager, despite many fans and pundits feeling the Portuguese’s conservative approach is down to the player’s struggles. 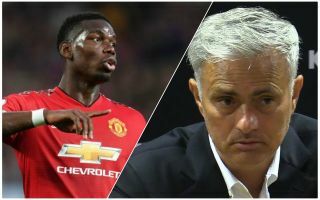 Some, however, have also criticised Pogba for appearing to be distracted by flashy haircuts and social media activity, though this is fairly standard in the modern game, and indeed with most young people of this generation. “He is a fantastic player but he has to do it for himself,” Rooney said. Who's to blame for Pogba's poor form?